In early 2016, when a dark wave of anti-transgender “bathroom bills” began sweeping across the nation, The Human Rights Campaign published a report identifying 2016 as the most dangerous year for transgender Americans. In Washington State six such “bathroom bills” were introduced in the State Legislature. Documentary filmmaker Vlada Knowlton captured the ensuing civil rights battle from the perspective of a small group of embattled parents as they banded together to fight a deluge of proposed laws that would strip away the rights of their young, transgender children. As one of the parents, Knowlton presents an intimate portrait of her own struggle to protect her 5-year-old transgender daughter from laws inspired by ignorance and fear. 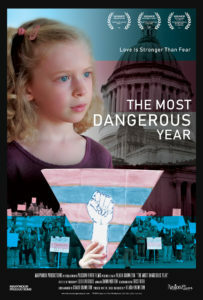 From tension-filled Senate hearings in Olympia to intimate household settings of the families involved; from thought provoking conversations with key lawmakers to elucidating facts explained by leading scientists – The Most Dangerous Year explores the transgender civil rights battle in all its richness and complexity. While the film follows the story and outcome of anti-transgender legislation in Washington, the heart of the film lies in the stories of the families who made the decision to accept and support their kids for exactly who they are. 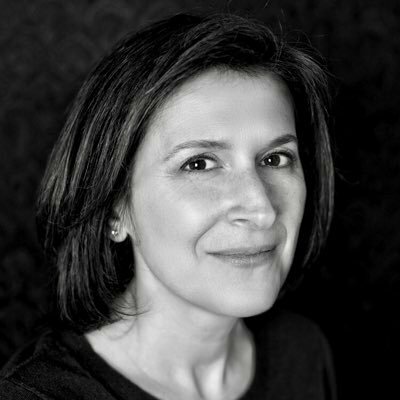 Director Vlada Knowlton joins us for a conversation on her deeply personal film about her own family’s story and the stories of other loving and caring families fighting to protect and nourish their own. This entry was posted in documentary, drama, Film Festival, Film School interview, Indie by admin. Bookmark the permalink.